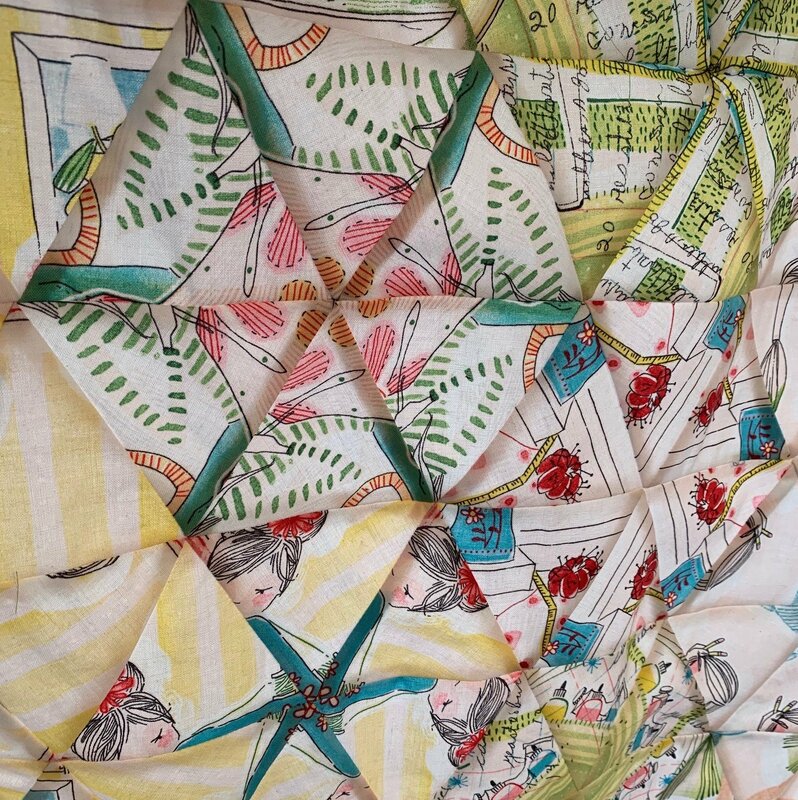 Choose a single printed fabric and create a Kaleidoscope masterpiece with equilateral triangles! The first class will involve fabric choice and evaluation, the special cutting techniques, and the beginning of assembly. Finish sewing the blocks at home, and come back for the second class where we will work together to put the quilts together and discuss finishing techniques. 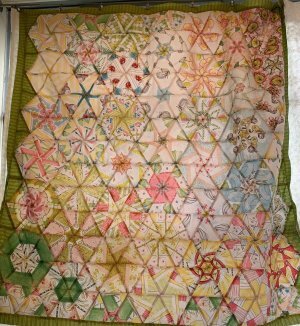 A unique quilting journey! 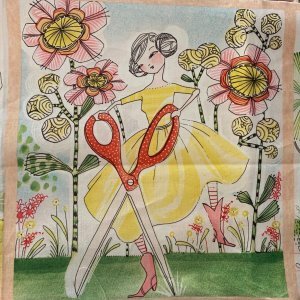 Fabric yardage will vary greatly depending on the print choice - we can choose during the first class or beforehand. Expect to need between 2-5 yards. Finishing fabrics will also depend on the initial choice - we will guide you! Regular sewing supplies such as pins, thread, scissors, etc. *you can use a regular quilting ruler with a 60 degree mark instead of the 60 degree ruler, but your life will be simpler with the proper tool! We have a limited number of sewing machines available to borrow, please let us know ASAP if you need one so we can reserve it for you.